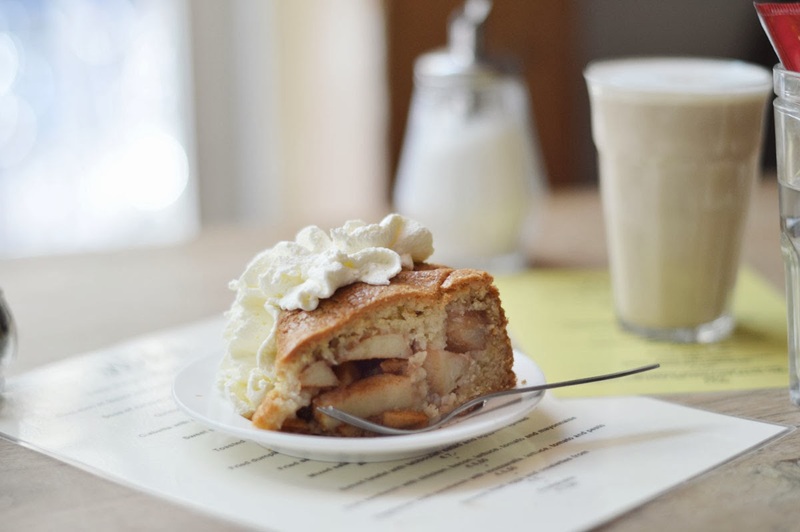 you have to know one thing about amsterdam (even if, like me, you don’t have the time to do a lot of pre-travel research): when in amsterdam, you have to eat apple pie. it’s really a simple rule. when we had lunch, heidi and me, we already discussed what we were having for tea. cake, obviously. 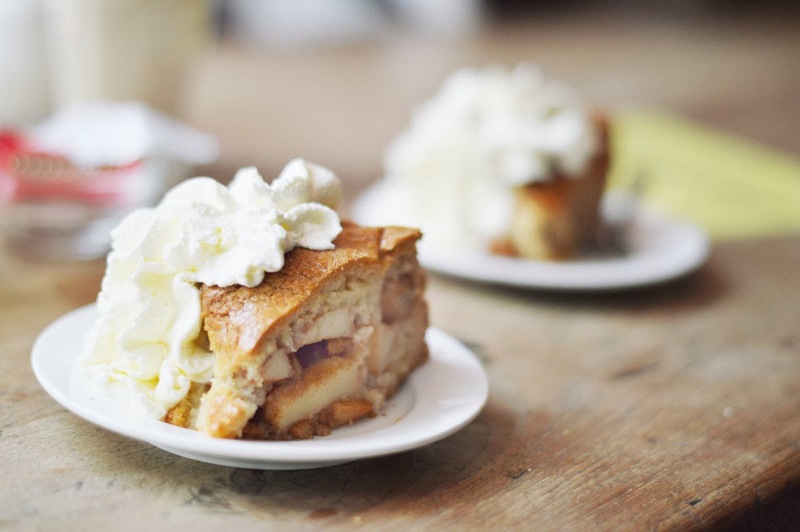 so in amsterdam, we had to have a proper, dutch ‘appeltaart’, as they call it. it resembles more a cake, really, it’s so lavish and tall. flakey on the outside, fruity, doughy, moist and sweet with a slight tartness on the inside. i think at the ‘winkel’, where we had it, which is obviously famous for it, they sold hundreds and hundreds of slices while we were there. we were quite afraid there wasn’t any left for us! but there was. and when it finally arrived, heavy whipped cream towering on top, we wanted to dig right in. but, the ladies that we are, we managed to get our cameras out first and take a few shots (only from every angle, ahem…). Oh, how I miss Amsterdam…. Hello! My husband and I lived near Delft many years ago, and I remember having something like this in a cafe. Would you share your recipe please ? Thanks in advance and best wishes! oh, that's amazing! actually, i have a post lined up with my home-made version (as this here is just the picture of the cake at the winkel in amsterdam) and the RECIPE! ta-da-da-daaaah…! it was wonderful, so delicious. can you wait just that liiiiittle longer? should be up by maybe… end of the week? fine?